If you’re a researcher, teacher, or investor, your time is valuable. I spent about 15 hours in the University of Michigan library looking at microfilm from The Economist going back to 1986 so that you don’t have to! 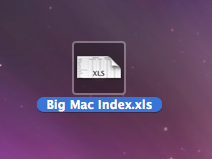 Now you can download the famous Big Mac Index spreadsheet for only $14 … not a bad deal if you ask me. Every column from the Economist’s Big Mac Index is reflected in the spreadsheet making it very easy to navigate and analyze. Save your time … Download in 3 minutes! Teachers … Researchers … Investors … Travelers … You’ve come to the right place! This spreadsheet will save you hours of time, provide awesome classroom lessons, investment insights, and information for your next overseas trip. 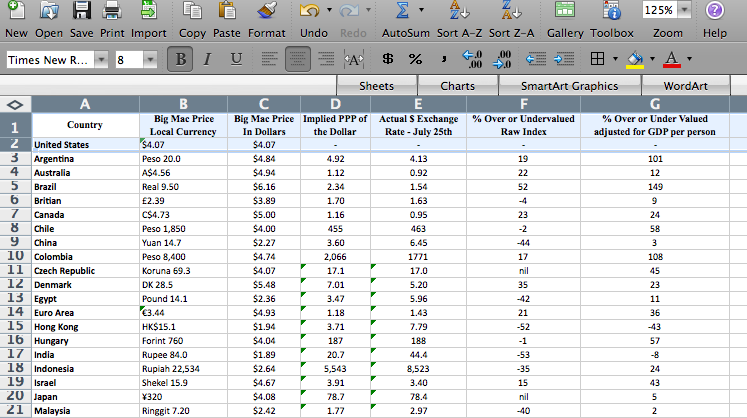 This spreadsheet contains all the information from the Economists Big Mac Index. 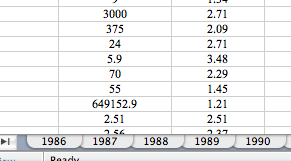 I literally went to a library, found old versions of the Economist going back to 1986, and inputted the information into the spreadsheet … a separate tab for every year from 1986 until today. It’s only 14 bucks, and will save you hours of time trying to compile it yourself. Plus if you don’t like it, just contact me and I’ll refund ALL of your money! That’s right … every single cent. It’s risk free and you have absolutely nothing to lose. The Economist comes out with a new Big Mac Index twice a year, and guess what, every time they come out with a new index, I’ll send you a new spreadsheet. You get free updates for life! On top of that, I’m always improving the spreadsheet, adding in exchange rate data, and calculating columns that were not in the Economist’s original table. As the spreadsheet gets improved, you’ll get updates. What a deal! Of course, if your run into any problems, I’m only an email away. Feel free to contact me at any time using the contact page here. I’m pretty good at responding and will usually get back to you within 12 hours. And remember, if you don’t like the spreadsheet for any reason at all and want a refund, let me know and I’ll process that immediately.